Landing your dream job in Nigeria seems pretty difficult than ever with a progressively increasing number of unemployed and underemployed Nigerian graduates. In fact, finding a job in Nigeria has even become a job on its own; only the ones that have mastered the skills and tricks can land good jobs in Nigeria. Job in Nigeria appear to be waning, so only good job-hunters can actually find themselves in their dream jobs. Looking at the employment situation of Nigeria today, it looks like it is getting worse with millions of fresh graduates leaving the university on a regular basis making the job market even more competitive and stiff. Despite the employment situation in Nigeria, it is possible to still find your dream job with ease. It doesn’t matter if you are fresh or want to change your career, our “3 tips to land your dream job in Nigeria” will make your dream come alive. Discover your passion: As a beginner, there is a need for you to discover your passion before you start searching for a job. It is very necessary for you to discover what you truly love to do as an individual. You can discover your passion by paying attention to your hobbies and things you can do without being necessarily trained to do them. Discovering your passion helps you with career path discovery. Develop skills: In today’s job market acquiring a skill is key. From recent job opening trends in Nigeria, we have noticed that most of the job vacancies are skill-based vacancies. Employers are after job-seekers that have the skill that can add value to their company. As a fresh graduate, acquiring a skill is preparing yourself for the bright future. Be ready to start a career path: Many fresh graduates don’t have a career path and are confused about what career path they should choose. It is advisable for every job-seeker to have a clear understanding of the career path they want to pursue. Having a career path makes your job search focused and precise. As a student or a young school leaver, you should not wait till you become unemployed and desperate before you start searching for a job. It is best for you to start searching for a job while you have a job or something else you are doing because it helps you to be more relaxed, and when you eventually get another offer it helps you negotiate a better salary and other benefits to determine if you can accept the offer or not. For fresh graduates, the best time to start searching for a job is during your final lap in school. The problem many job-seeker have in Nigeria is that they don’t know how to search for job openings. It is almost impossible to get a job when you cannot even access latest job openings in Nigeria. To land your dream job in Nigeria, you must learn how to search for job openings. The following are the recommended ways to search for job openings in Nigeria. Before you apply for jobs in Nigeria, you have to decide the kind of jobs you would like to do. If you have a degree in marketing or interest in sales as a fresh graduate, then you should search and apply for sales/marketing related jobs only. If you are a beginner, it is advisable for you to look out for internship openings and entry-level jobs rather than applying for jobs that don’t match your skills and qualification. One of the key tools to landing yourself in your dream job is to have effective job search tools. As a job-seeker, your search tools are your CV and cover letter. Like we have always said, your CV and cover letter are your personal branding and marketing tools. So a good CV can move you a step forward towards getting the job of your dreams. Your CV is your No 1. Tool as a job-seeker, because a CV is to a job-seeker is what a cutlass is to a farmer. Without a good CV, your chances of getting a good job will be very slim. Your CV should be selling you. Consider following this guide to writing a winning CV. The cover letter is another important search tool every job seeker should take seriously when searching for a job in Nigeria. A good cover letter can increase your chances of landing your dream job in Nigeria. You can make use of a cover letter writing service to make you have that perfect cover letter that can land you the job. One of the smart ways to get a job in Nigeria is to access hidden jobs. 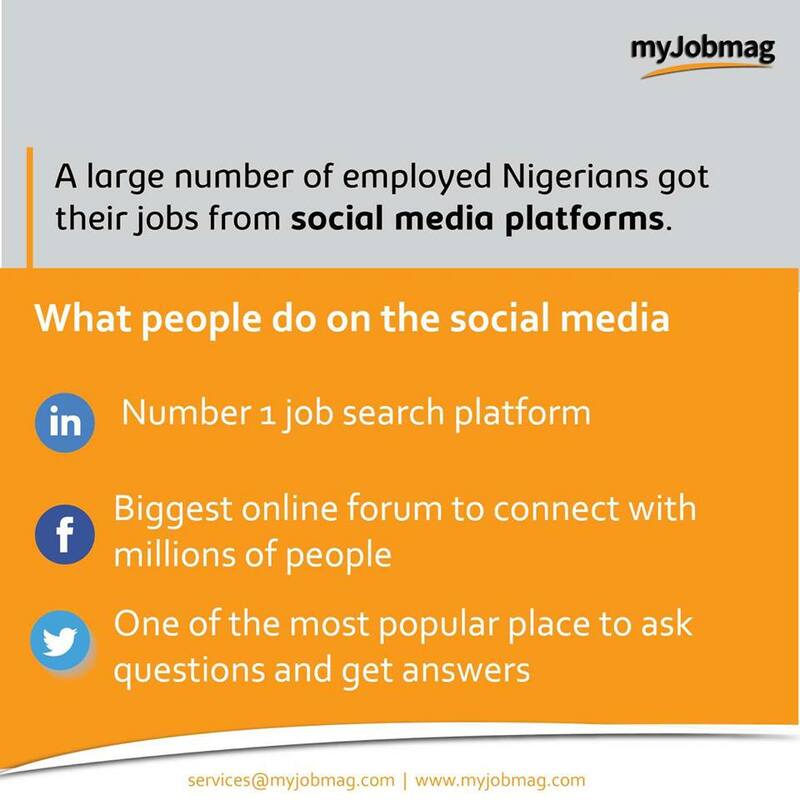 If you are keen about following job postings, then it might take you a long time to secure a job in Nigeria. It is important for you to note that not all jobs are advertised in Nigeria, more than 60% of good paying jobs in Nigeria are unadvertised. So as a job-seeker, you would need to learn how to access hidden jobs. To land your dream job in Nigeria, you would need to take some smart steps. After you have created a good CV and cover letter, and you have been invited for an interview, the next thing to do is to prepare well for the interview to actually get the job. The interview is an opportunity for you to sell yourself to your prospective employer and convince them you are the best hire. Prepare for interviews: Since performing well in an interview can help you get that long-awaited job, then it is important for you to make sure you prepare well for your interview. You can use our job interview checklist to double check your work and be sure you are going to perform well. employees that are always willing to add value to the company. We all know that one of the key factors to getting a good job in Nigeria is having the relevant experience required for the specific job role. As a fresh graduate, you should always make an effort in gathering the necessary experiences. A good way to gather experiences in Nigeria is to take advantage of internship and volunteering opportunities. Internships and volunteering help you learn on the job and also help you build your experience over time. So as a young graduate, it is not advisable for you to sit and do nothing, be open to career advice and embrace internships and volunteering opportunities. Searching for a job in Nigeria could be really tiring especially for fresh graduates, but with the right job search skill and knowledge, you can get that good job in Nigeria without having to wait for donkey years.